Kitchin, R., and Dodge, M. (2011) Code/Space: Software and Everyday Life. Cambridge, Mass. : MIT Press. 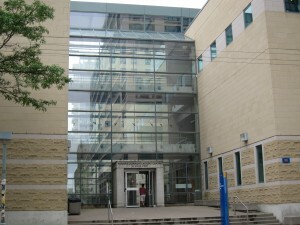 I’ve been visiting the Infoscape Research Lab at Ryerson University, Toronto this spring. I’ve had a really nice and productive three months time here, the people at Infoscape having been very welcoming towards this stranger from Norway who initially wrote them an email almost a year ago expressing her admiration for their work. In fact, it all began when reading Ganaele Langlois’ excellent PhD dissertation while I was a visiting scholar at NYU last year. At that time I hadn’t come across too many people doing this kind of critical software studies inspired work on social media (and I still haven’t for that matter). Immediately upon establishing contact with Ganaele and Greg Elmer the opportunity to come here for a couple of month to visit was discussed. Although Toronto greeted us with a completely flooded apartment, hotel stays for two weeks and endless rainy days, the environment at Infoscape was much more hospital with a welcoming dinner and drinks, and a goodbye BBQ last weekend. 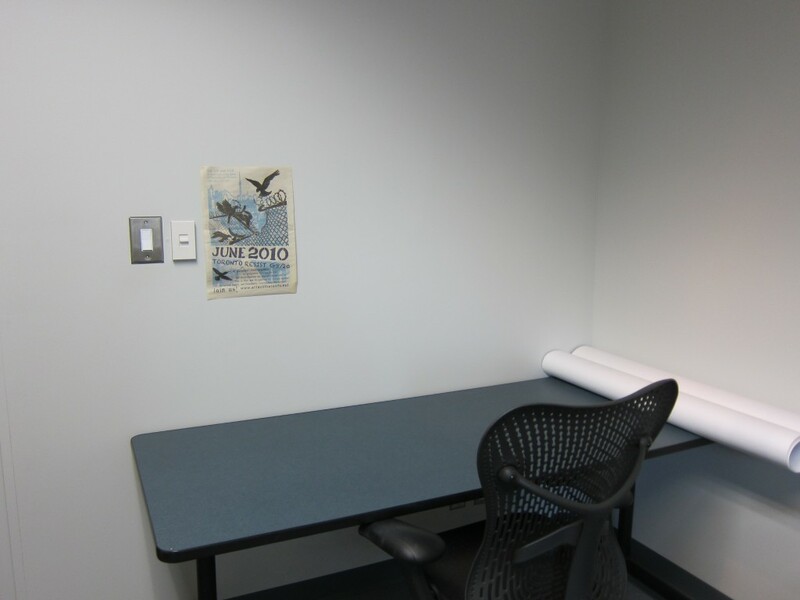 The Infoscape Research Lab basically consists of three office spaces located on the third floor of the Rogers Communication Centre. Every Friday was usually presentation day where someone would present their current work and the different people associated with the lab would come together and discuss. I shared an office with Alessandra Renzi, a post.doc who is at Infoscape to contribute to the production of the collaborative/open source documentary film Open Sourcing Secrecy, based on the recently published book “Preempting Dissent” by Greg Elmer and Andy Opel. She is very engaged in media activist practices and wrote her highly intellectually engaging PhD dissertation on Telestreet, an Italian network of pirate community television channels. I had some very instructive conversations and learned a lot from her on the philosophy of Simondon and the Italian Autonomist movement in particular. It was also very nice to meet another PhD candidate who has exactly the same research interests has me, and who reads and references the same books, in addition to having the same appreciation for good hip hop. Fenwick McKelvey is a research associate with the lab and writes his PhD dissertation on transmissive control and Internet time, on “the politics of traffic management software – how it controls information and how it meets resistance”. He has published one of the few social science/media studies papers on algorithms that I am aware of, in which he studies the net neutrality controversy as a case for understanding the politics of algorithms in processes of networking. He also has an interesting article forthcoming in Fibreculture about programmability, platforms and transduction. Ganaele Langlois and Greg Elmer, Associate Lab Director and Lab Director respectively, both somehow manage to make this rare blend of theory, critique and digital methods work that is both intellectually enriching and methodologically valuable. Whereas the Lab and the research projects carried out there mostly hinge on cases from the political field (Canadian politics), the methods (traffic tags, using the APIs, tracking the circulation of digital objects) and theoretical frameworks used (with a particular affinity towards Deleuze and Guattari) make for a much broader use within media studies more generally. Personally I have found their contributions on “Networked Publics” and “Mapping commercial Web 2.0 worlds” extremely useful. Also look out for their forthcoming article on Traffic Tags that is going to be published in Information Polity. Ganaele, who is an assistant professor at the University of Ontario Institute of Technology, also continues to do work on meaning, Guattari’s a-signifying semiotics and participatory culture. Her latest work in this field can be found in the current issue of Culture Machine on digital humanities. I also want to mention Steven, Kate, Erika and Yukari whom I also had the pleasure to meet during my stay at what indeed is a very productive and inspiring research environment. I met the Berlin-based media artist and programmer Julian Oliver in Toronto as part of the Subtle Technologies festival, where he taught a workshop on the Network as Material. The aim of the workshop reflects Oliver’s artistic and pedagogical philosophy nicely; to not only make people aware of the hidden technical infrastructures of everyday life but to also provide people with tools to interrogate these constructed and governed public spaces. Julian Oliver, born in New Zealand (anyone who has seen him give a talk will know not to mistake him for an Australian) is not only an extremely well versed programmer but is increasingly as equally knowledgeable with computer hardware. His background is as diverse as the places he has lived and the journeys it has taken him on. Julian started out with architecture but became increasingly interested in electronic art after working as Stelarc’s assistant on ‘Ping Body’, Auckland,1996. He moved on to Melbourne, Australia, and worked as guest researcher at a Virtual Reality center. Later he established the artistic game-development collective Select Parks and in 2003 left for Gotland to work at the Interactive Institute of Sweden’s game lab. He then moved on to Madrid where he had extensive involvement with the Media Lab Prado. Several countries, projects and residencies later, he made Berlin his preferred base, setting up a studio there with colleagues. Julian is also an outspoken advocate of free software and thinks of his artistic practice not so much as art but more in terms of being a ‘critical engineer’, a term that he applies particularly to his collaborations with his studio partner Danja Vasiliev. Their latest collaboration called Newstweek, was recently announced as winners of the Golden Nica in the Interactive art category of the Prix Ars Electronica 2011. The project leverages on the network as a medium for rigorous, creative investigation, exploring the intersection between the perceived trustworthiness of mass media and the conditions of networked insecurity. His artistic practice clearly reflects his hacker and gaming background, playing around and messing with routers, capturing data from open wireless networks, visually augmenting commercial billboards in the cityscape, sonifying Facebook chats, visualizing protocols and otherwise manipulating networks for artistic purposes. I sat down with Julian on June 1st to talk about his most recent art projects, his reflections on software and digital media arts more generally.